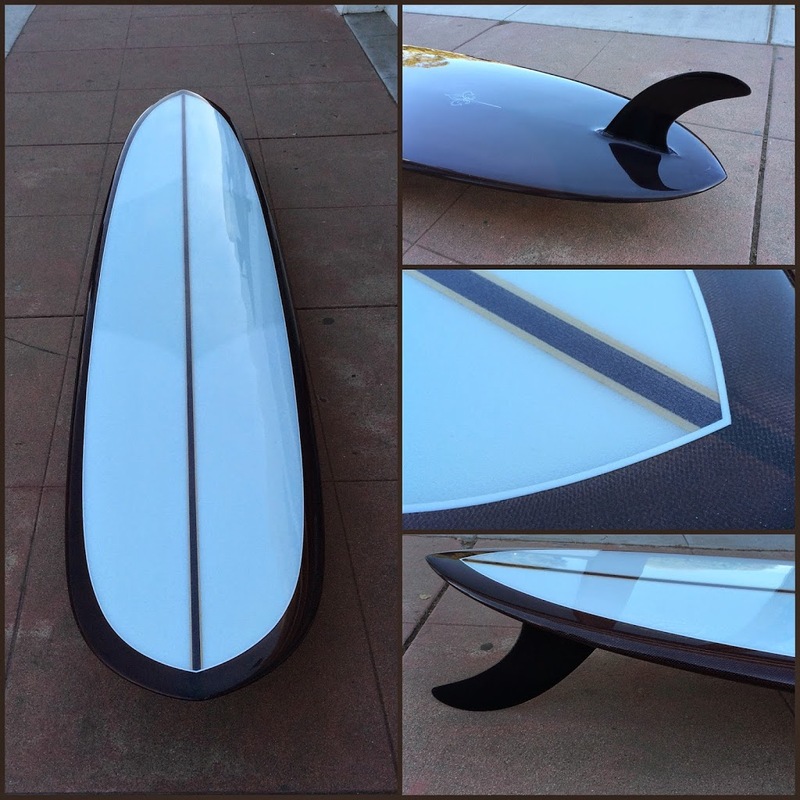 This Snazzy Surfy Surfboard is a finely foiled 7’2″ Teardrop by our local guru Gary Hanel. 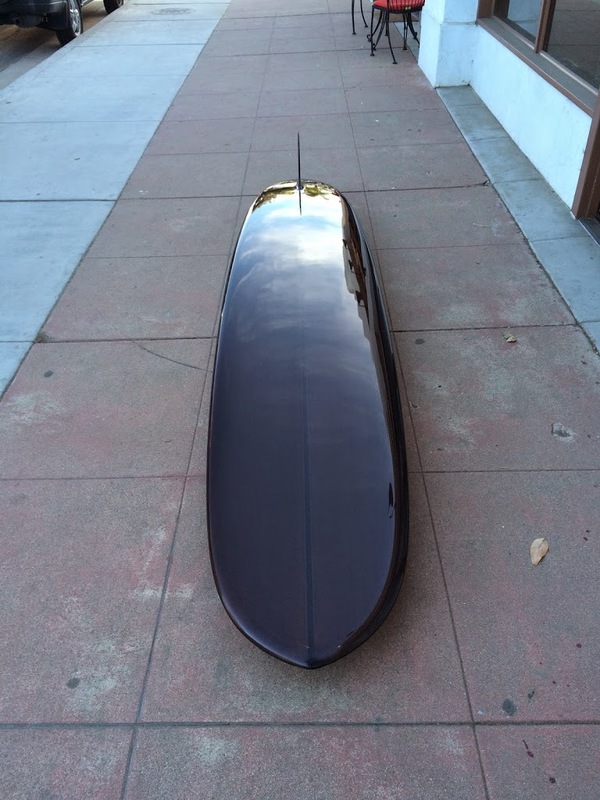 with 16″ nose x 14 1/2″ tail. Set it up with favorite sidebites and center fin and off you go down da line. 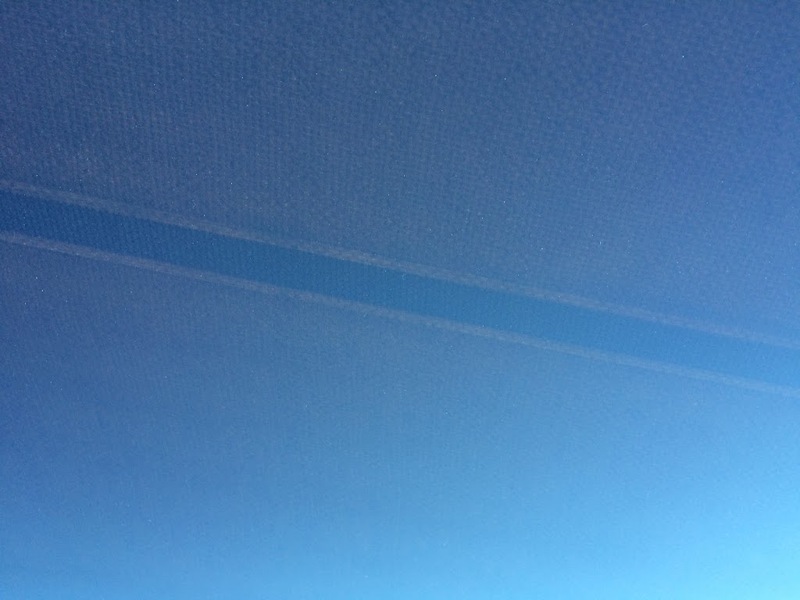 Volan deck glass job. Build by Moonlight Glassing. It’s great when board builders are in the zone, we all benefit. Roger Hinds Pathfinder model with 2″ center balsa stringer and duel cedar stringers. This is a stock board at Surrrfy Surrrfy. 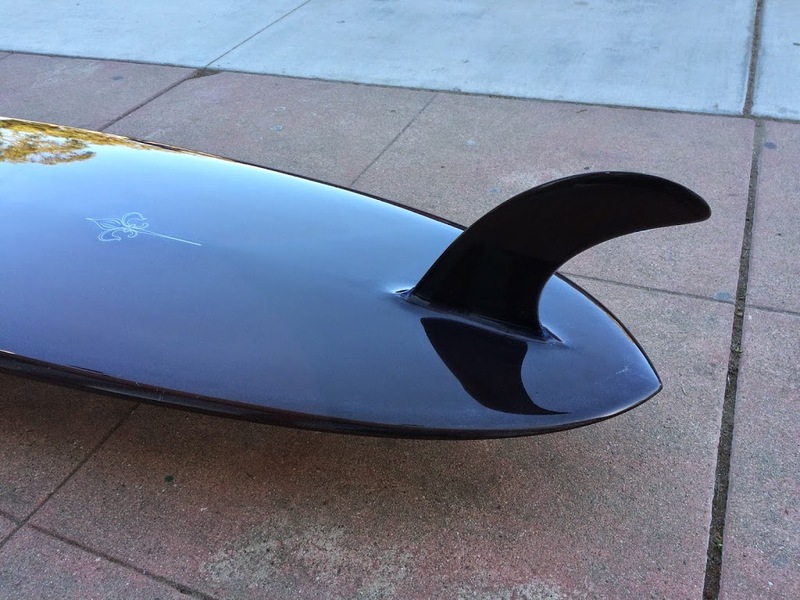 Chris Christenson’s CFO model hyper activated by the Campbell Brothers Bonzer fin system. 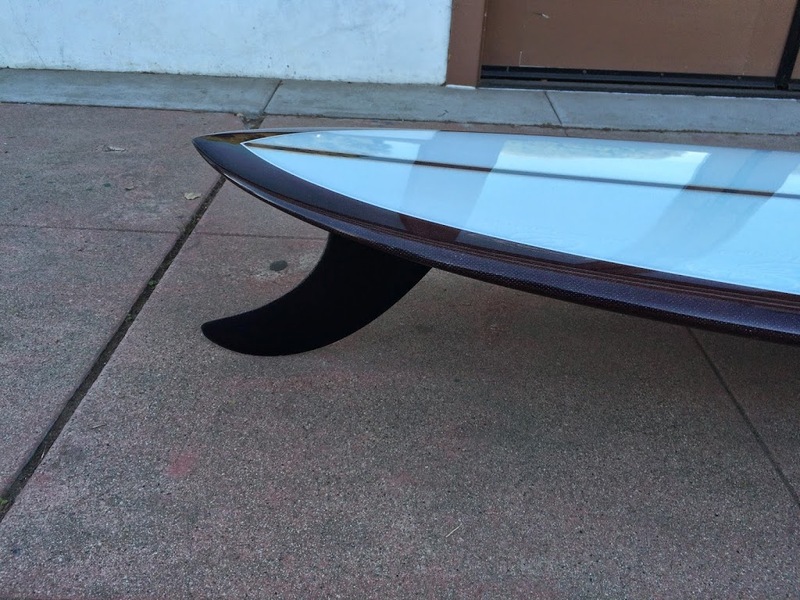 Red runners shown here with a 7′ True Ames Bonzer center fin. Tap into the pyramid power source. *note that the CC CFO does not have the same bottom as a Campbell Brothers Bonzer. Some wise men claim 7’2′ the magic length. 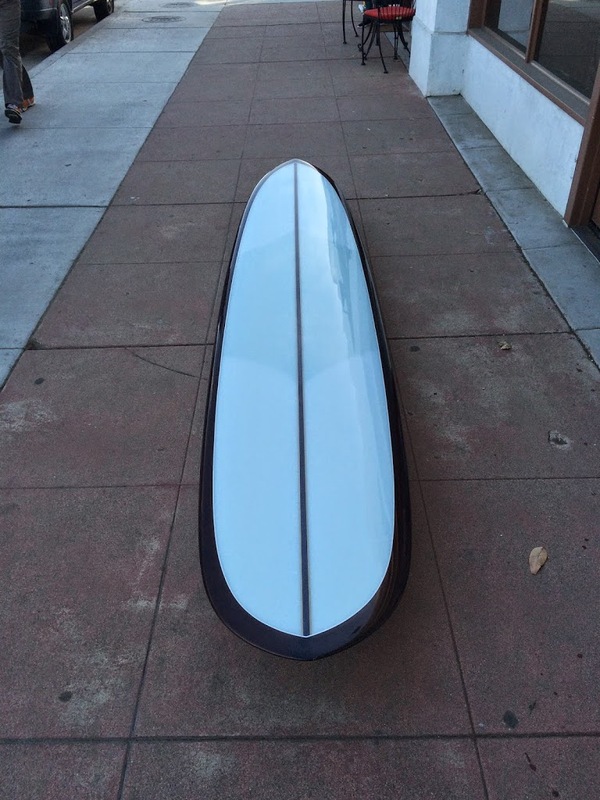 Chris Christenson CFO’s with Bonzer3 siderunners now in stock at Surfy Surfy. Keep your eyes peeled for more CFO’s soon! 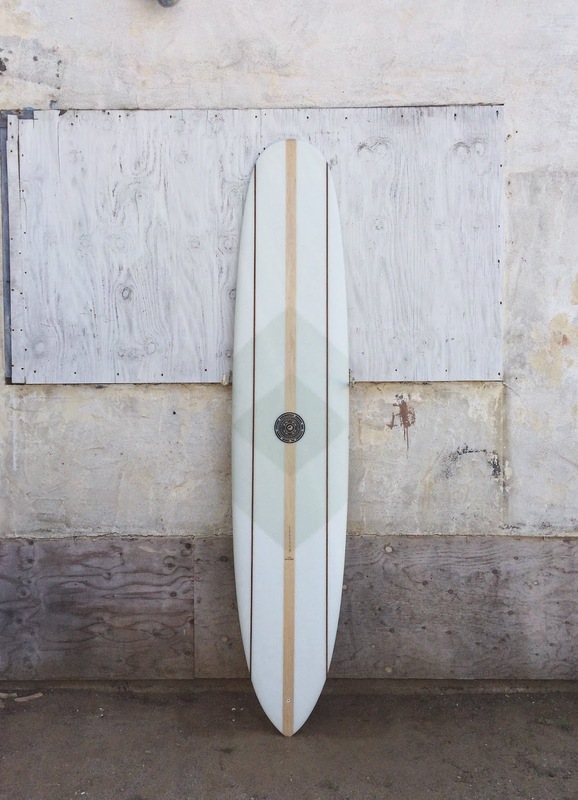 Mint condition adult sized surfboard shaped by Chris Christenson. 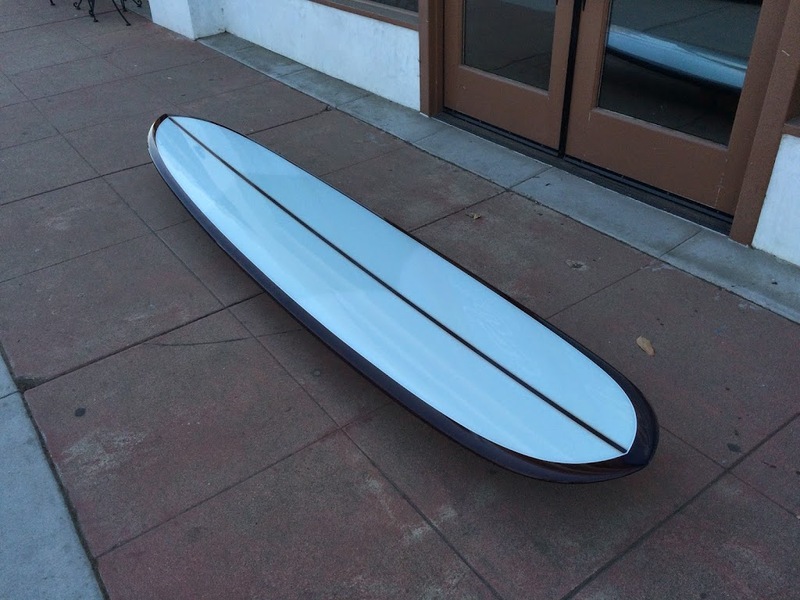 For sale at Surfy Surfy Surf Shop in Leucadia, California. For the anti Go-Pro selfie narcissist, this clean 7′ CC C-Bucket is for the minimalist who likes sessions in the fog and under the cover of darkness. 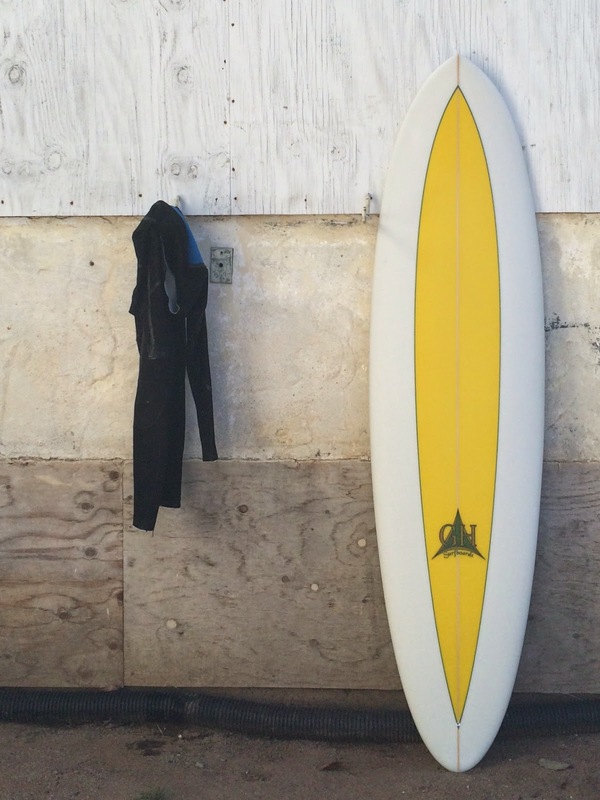 Stock at Surfy Surfy Surf Shop located in downtown funky Leucadia, California.